Google Chrome is the safest browser to use for the remote labs. Please do not use Internet Explorer or Edge Browser. How do I know when my lab is ready? Why is TeamViewer having difficulties connecting? Please ensure that your TeamViewer software is updated to the latest version. What is the time zone of the laboratory scheduler? The time zone will default to your location. You can manually edit it by selecting the drop down menu of your location. Creating and maintaining accounts have proven to provide some issues for our students. The below options are the most frequent issues that emerge for our students. 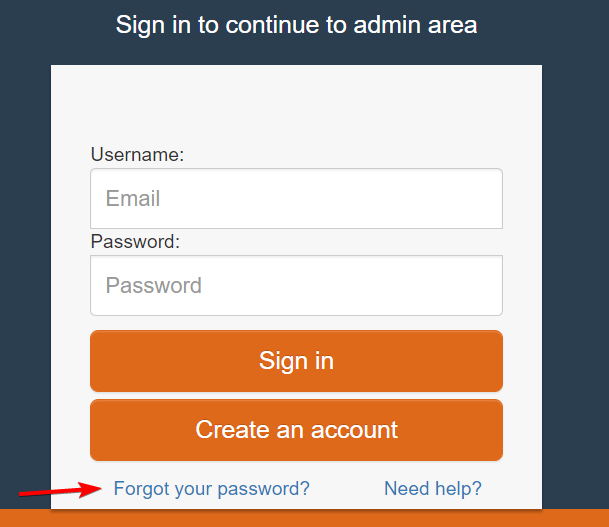 You can manually reset your details by selecting "Forgot your password?" on the login page. When signing up for an account with the Remote Labs, a red module will appear above the input fields stating all the current issues with your account creation. Please be advised that it is primarily a recommendation. Once you have updated all the details in a manner that is acceptable to the Remote Labs, then the register button will start glowing. I am still experiencing issues. TeamViewer is the application that facilitates the connection from the student to the lab computers. TeamViewer not Running on Partner Computer. What is the TeamViewer Partner ID? What is the TeamViewer password? This problem may occur when TeamViewer has crashed on the lab computer you are trying to access. Please state the lab this is occurring on below, and a support representative will try and respond back to you as quickly as possible. The TeamViewer Partner ID should automatically be generated when entering the lab. Restarting your computer or device. The TeamViewer password can retrieved from the button on the labs. If you select the "Copy password" button, then the password will be added to your clipboard. 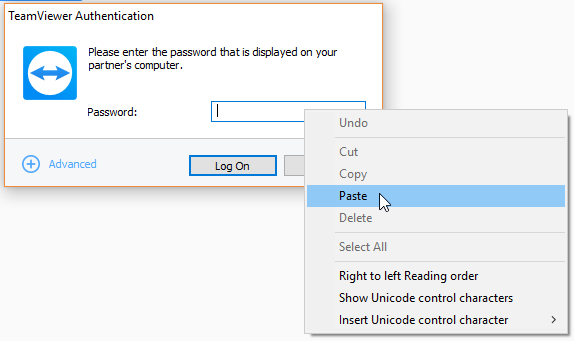 Select "Paste" in the TeamViewer authentication window password field. While very occasional, it is a known issue that a student can be prematurely removed from their lab session. This can occur from varying reasons. This issue can emerge when the TeamViewer program has been signed out of the Remote Lab computer. Please fill out the below field, and we will send you a confirmation email concerning its resolution. While the software within each lab has been established to provide assistance for every student, issues can occasionally occur from frequent usage of a specific program. Please read the relevant software instructions before proceeding with a program usage. The instructions will be located on your Moodle page, and will help with your overall understanding of the assignment. Please note - we cannot provide support for any assignment specific questions. Please instead consult your assigned instructor. Occasionally the licenses can expire for software. Please fill out the details below, and we'll endeavour to have the software fixed as soon as possible, and send you a confirmation email concerning its resolution. The numerous programs within the labs are utilised by other students frequently. While EIT imposes restrictions on unwarranted damage to the programs, occasionally the software can incur damage from frequent usage or various accidents. Please report the software below, and a member of staff will investigate, and provide a solution to the issue as soon as possible. If none of the above options assist with your queries, then please feel free to contact our support team. Please be as comprehensive as possible. The more information you provide in the below forms, the easier it will be for them to diagnose the issue. Note - for quicker resolution, we highly recommend attaching a screenshot of the problem. I'm sorry that our troubleshooting form was unable to solve your issue. If you can provide specific details below regarding your issue, our team will diagnose the issue and find a solution.